Staff Selection Commission is in the good books of job seeking aspirants as major exams viz. SSC CGL 2018 and SSC CHSL 2018 are in the offing to be conducted in upcoming months fulfilling the dreams of many aspirants. 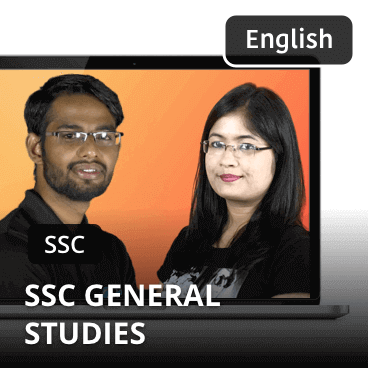 Why General Awareness Section is as important as other sections for SSC Exams and why should you be more attentive to the General Awareness Section while preparing for SSC Exams? 1. Being an SSC aspirant, candidates are well aware of the vital correlation between General Awareness Section and SSC Exams. Howbeit, not well-prepared to face this section smartly to the gill. They get puzzled while deciding what topics are to be prioritized, how to memorize and how to deal with the vast syllabus. 2. In the lack of proper guidance, very often only General Awareness Section causes unremitting failure to these hard working job aspirants as GA Section is a mandatory and an equivalently heavy weightage section in almost every SSC Exam. 3. The upcoming SSC CGL and CHSL exam will hold 25 GA questions with a total of 50 marks which again makes General Awareness Section as an inevitable subject. In order to ease your preparation for GA Section, Adda247 is providing the Comprehensive video course for General studies in English Medium that consists of online video lectures, ebooks and mock tests. SSC exam E-books Package which you can read anywhere anytime with a total of 61 e-books. 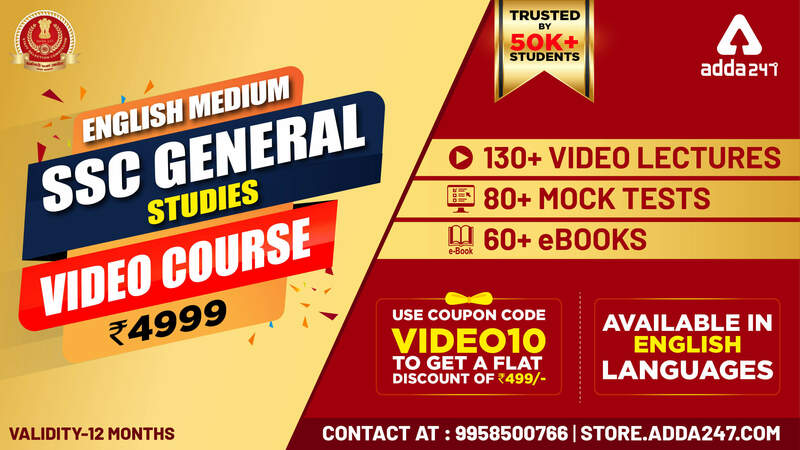 Ace your preparation with this Comprehensive video course that is a complete package useful for SSC exam and available at just Rs 4999.